Hi guys and gals! I got back from a 13 day vacation to Scotland and wanted to give you a little overview of the trip. 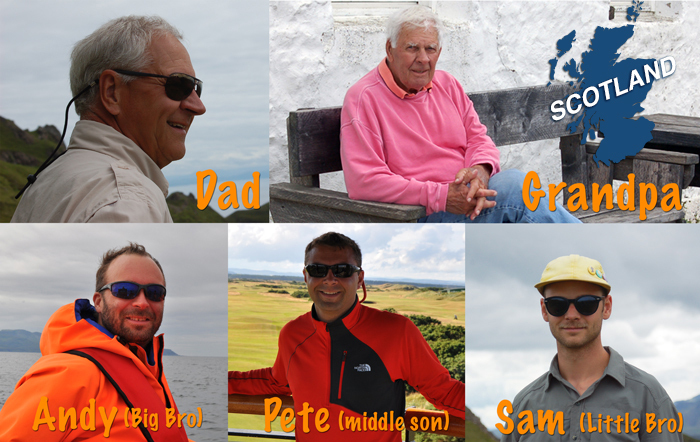 I went with my Grandpa, Dad, big brother, and little brother. That's right, three generations of Sveen's all traveling together for 2 weeks. Not only did we all get along well (most of the time), but we had a blast and can't say enough about how fun the trip was. 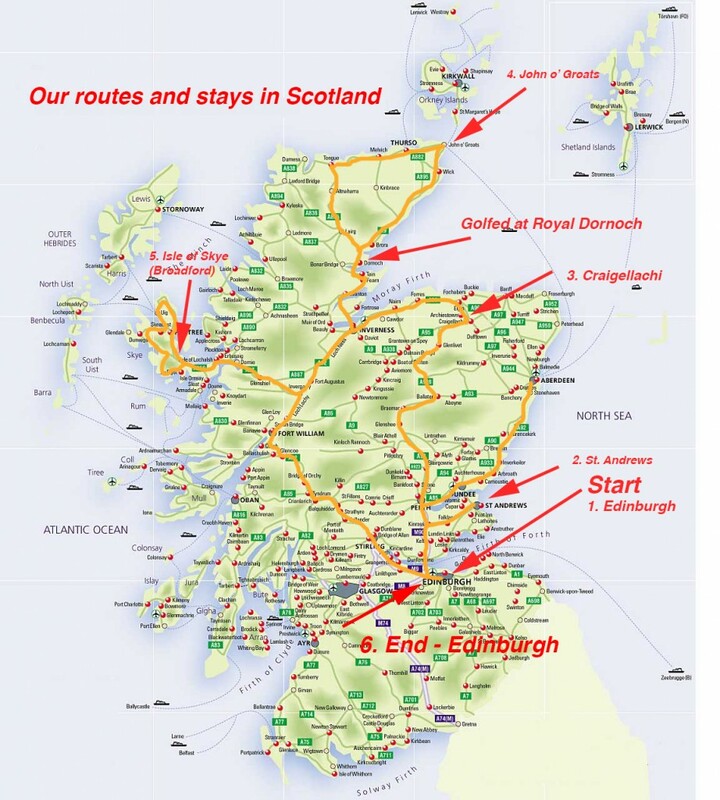 Below is a map of Scotland showing the main routes and stops we took. The stops include where we stayed overnight and the orange lines show the roads we used when traveling to each area. Our adventure started out with our flight departing from my hometown of Bozeman, Montana. My Grandpa and I met up at the airport at 9:30 AM MST and flew to Minneapolis where we met up with my brothers and Dad. We departed Minneapolis at 5:30 CST on a big Delta Jet. It was a brand new Airbus 330 with plenty of legroom, a monitor to watch movies, and plugins/usb ports to charge up your electronic devices. The flight was 7 1/2 hours and we were served a meal and had plenty of snacks and drink options. Wine and beer are free on Delta international flights so take advantage of that if you are ready for cocktail hour. We landed at the Charles de Gaulle airport in Paris, France at about 1 am CST but it was 8am local time in Paris. Our flight to Edinburg was a little over an hour and a half long and we gained 1 hour. So the arrival time in Edinburg, Scotland was 9:30 AM local time. We were all pretty tired, but at the same time excited for our adventure and ready to get started. We had already been up for about 24 hours (we didn't sleep on the plane much) and somehow we were able to find an extra burst of energy to get through another 12 hours. We rented an 8 passenger Fiat van to explore the country. The steering wheel is on the left side and you drive on the left side of the road in Scotland. The majority of vehicles are stick shift as as well, and so the stick is on your left side. It is actually quite a bit more expensive to rent an automatic vehicle and they didn't have any other vans that were automatic. The stick on the left was easy to get used to, but driving on the left side of the road took a little more practice. Roundabouts are used at many intersections and getting the hang of two lane roundabouts while driving on the left side was a little stressful. We got the map out and headed for St. Andrews, Scotland. Upon getting to St. Andrews we went to our VRBO which was right downtown and close to the golf course. It is called 14 South Castle Street. 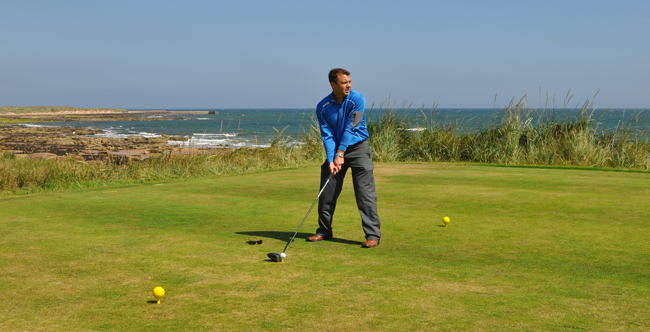 For the rest of the day we explored St. Andrews which is known to many for its world class and historic golf course. The St. Andrews “Old Course” is the host of the British open quite frequently. There are trails around the golf course, gift shops, historic buildings, and a beautiful sandy beach. I got up at 7:30 and went for a nice 1 hour run along a sandy beach. It was overcast and typical Scotland weather. 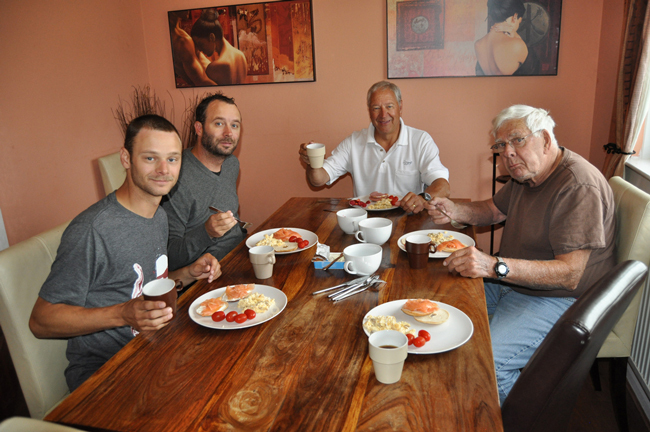 My little brother Sam made breakfast and then we got on the road to leave for Aberdeen, Scotland. On the way we stopped at Carnoustie to see the golf course which has hosted the British open. Aberdeen, Scotland was a cool town to visit. It seemed much larger than it's actual population of around 220,000 people. Finding a parking spot wasn't easy, as we found the case to be in many of the cities we visited. After checking out the sites we got back in the van and returned to St. Andrews. Once back, we played the Himalaya putting course at St. Andrews. It is a neat 18 hole putting course that only costs $10 or so to play. We would have loved to play the actual golf course, but it's pretty tough to get a tee time. We got in the Van to head to Craigellachi. On the way to the high country we drove through Dundee, Perth, and Inverness. We stopped at the Glen Levit Distillery and got a tour. The gal that gave the tour was great and had worked there for 4 years so she knew her stuff. 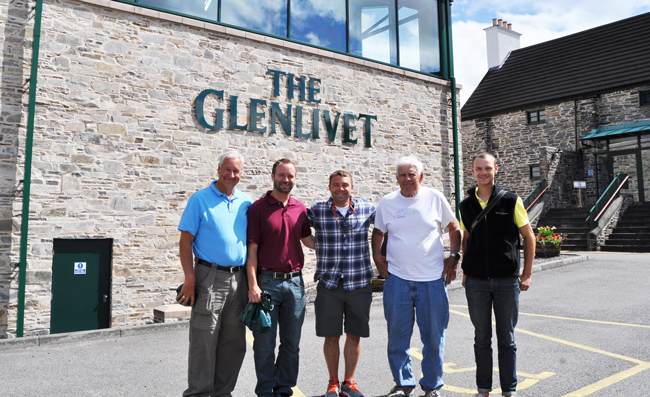 At the end of the tour we got to try the whisky and I had the 16 year Glen Livet. The 16 year and 12 year were both very good. Next we went to a company that makes and repairs casks (whisky barrels). The process was fun to watch and they called the workers “Coopers”. 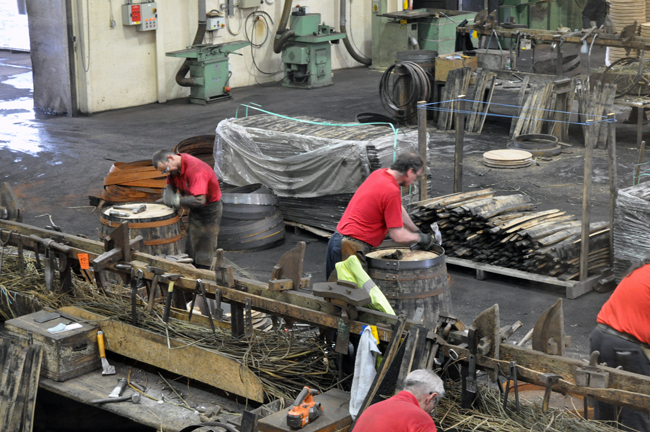 Coopers are some of the highest paid workers in Scotland. After the tour we finished driving to Craigelachi and checked into the Craigellachi Hotel. It was a historic building and they had a little bar / restaurant. We got up at 6:45 and had a hearty breakfast. I tried black pudding and haggis (which came with the eggs/bacon/toast). Haggis is a Scottish dish. After breakfast we drove through Inverness and headed to golf at Royal Dornuch golf course. The course was tough, but a lot of fun. After golfing we drove up to a small town named John o' Groats. 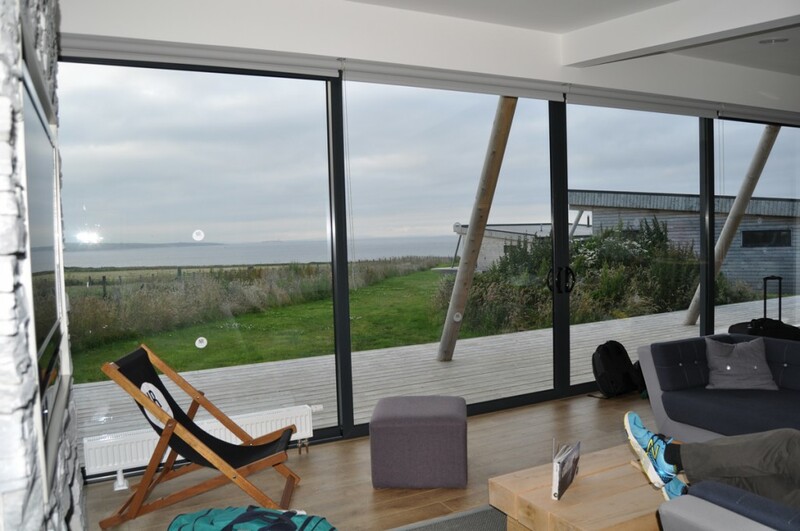 We stayed in a very modern cottage near the ocean. This was my favorite place to stay at. 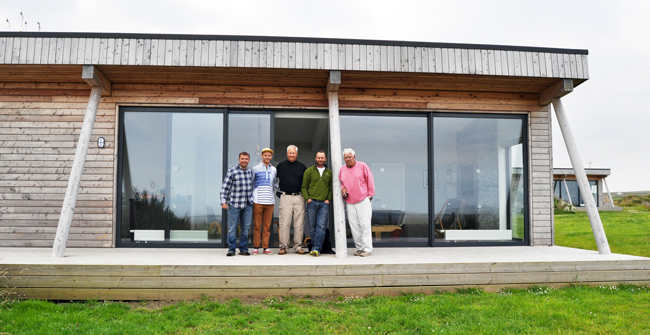 They are the Natural Retreats cottages. The ocean view from the cottages was amazing. A day of driving, and lots of it! Driving in the highlands takes a long time. There are many single lane roads and quite a few sheep wandering around. 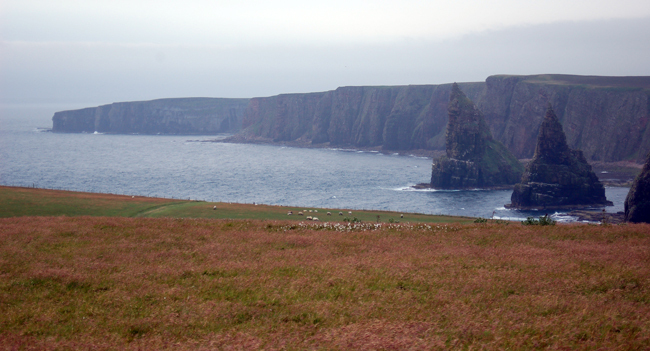 We drove all the way from John o' Groats to the Isle of Skye. During our visit to the Isle of Skye we stayed at the Dunmara which is a VRBO home near Broadford. Here is a photo of one of the amazing meals Sam made. I learned to love fresh salmon. 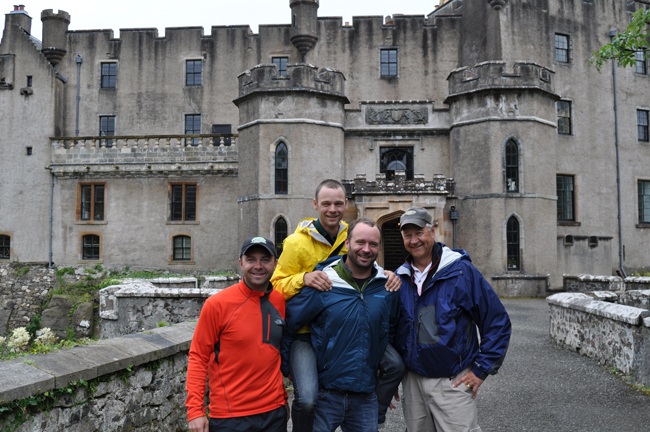 We went to the Dunvegan Castle. Dunvegan is the oldest continuously inhabited castle in Scotland and has been the ancestral home of the Chiefs of Clan MacLeod for 800 years. We checked out Portree which is the largest town on Skye in the Inner Hebrides. 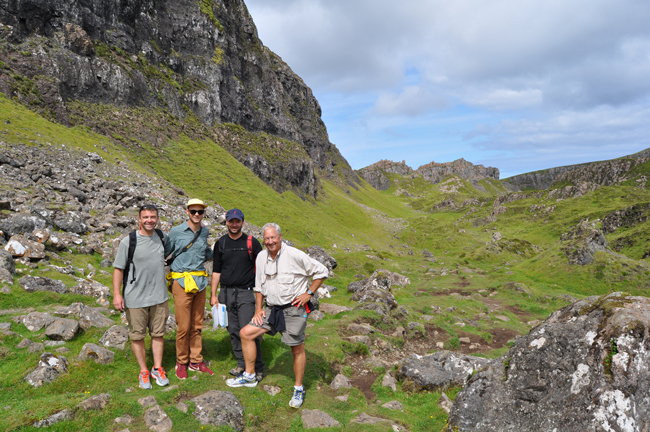 We did the Quairing hike which is located in the northern area of the Isle of Skye. The scenery was fantastic. 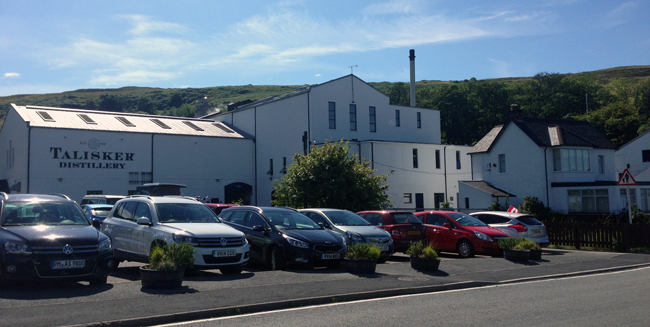 We did a lot of driving and stopped at the Talisker Distillery. Their whisky is known for having a smoky taste because of the peat in the soil. 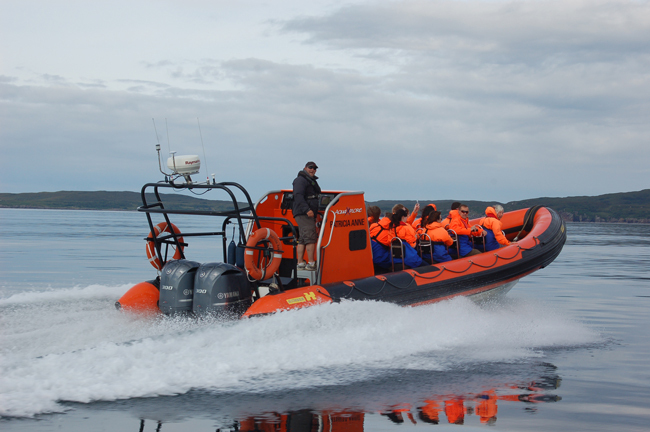 We took a speedboat tour from Elgol out to the Island of Canna. During the boat ride we did some bird watching and searched for dolphins, whales, sea lions. The outfitter was AquaXplore and they did a great job. 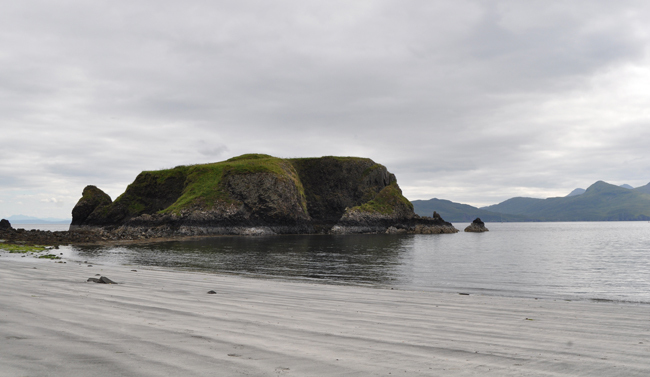 Not a bad view from Canna Island to sit and read a book. After the boat tour we drove to Inverness to check out the famous Loch Ness lake. 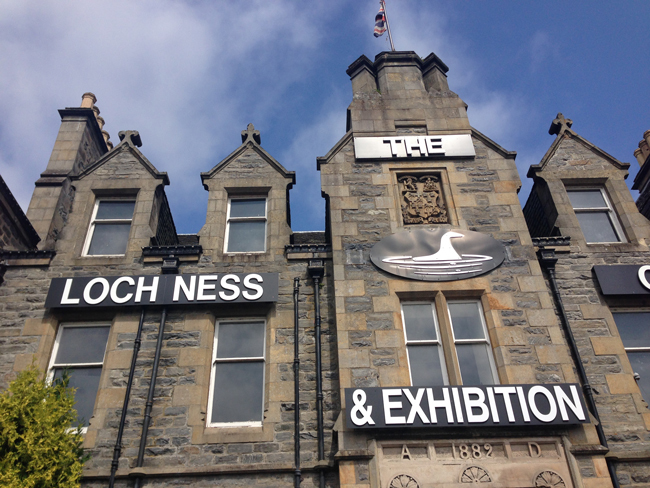 We went to the Loch Ness tourist center which was a huge tourist trap that I'd recommend avoiding. We left the Isle of Skye and drove to Edinburgh. Along the way we stopped at the Doune Castle where the movie Monty Python and the Holy Grail was filmed. This was my favorite castle in Scotland. 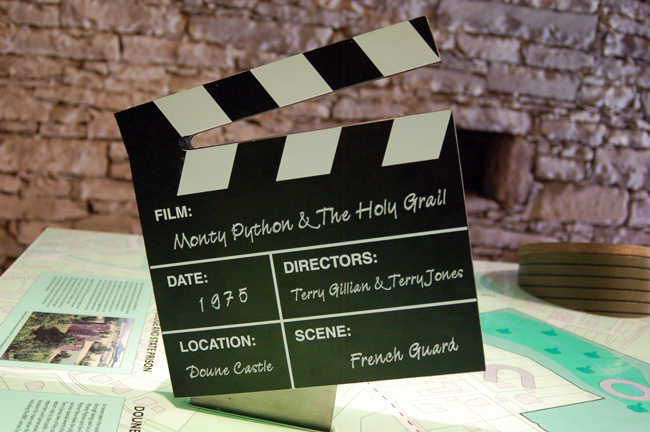 Here is a clip of Monty Python which shows the Doune Castle. 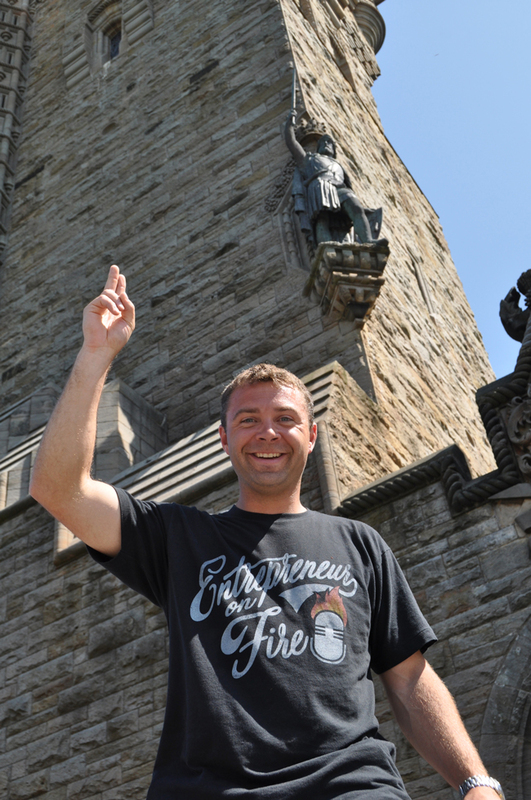 We stopped at the National William Wallace Monument in Stirling, Scotland. I love the movie Braveheart and had to get a photo with William Wallace. We went to the Edinburgh castle which is the main tourist attraction in Edinburgh. The castle was huge and had many structures within it. It was like a whole village within the Castle. 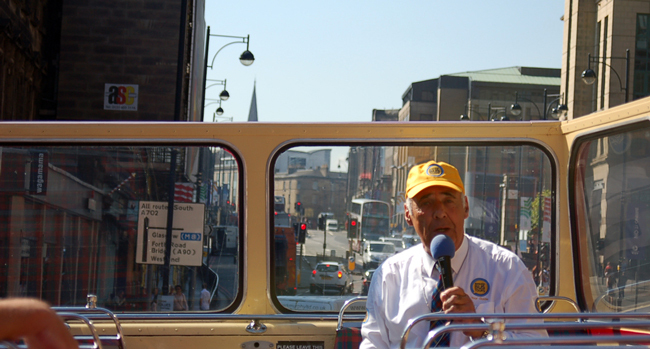 I'm not big into tour buses, but doing so allowed us to see the city quickly and to learn about the history. You wouldn't want to try and drive around Edinburgh as it is way too busy. We went on the MacTours City Tour Bus. 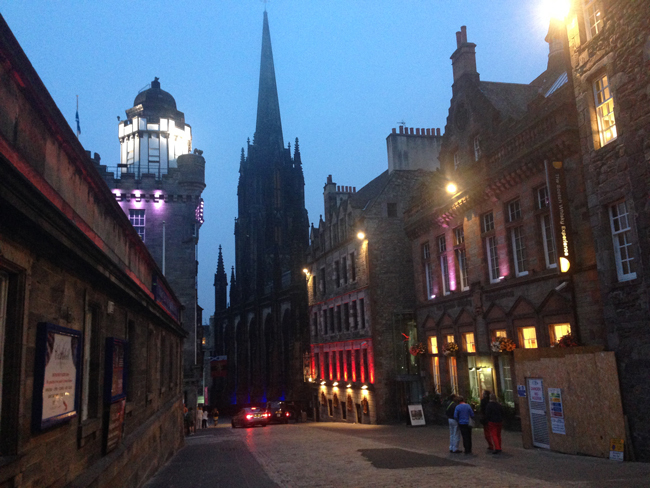 The night scene in Edinburgh was a lot of fun. 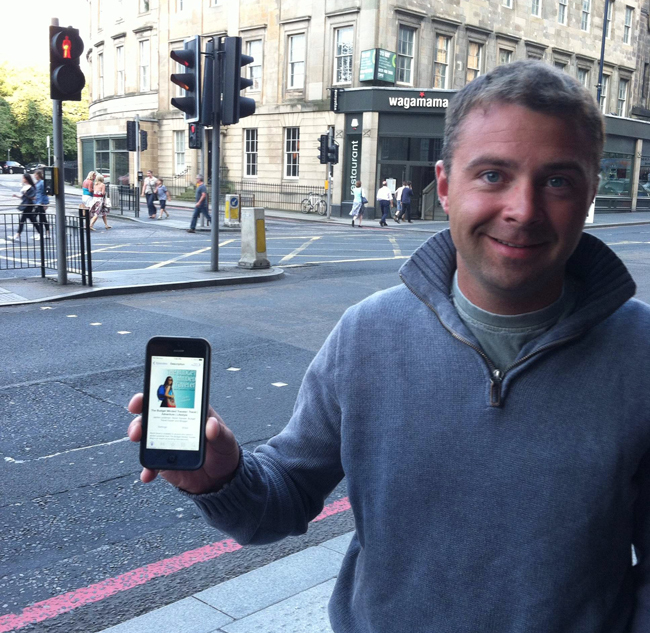 Here is a photo near a bar we stopped at right outside the Edinburgh Castle. We stayed at a VRBO near the castle called the Edinburgh Address. 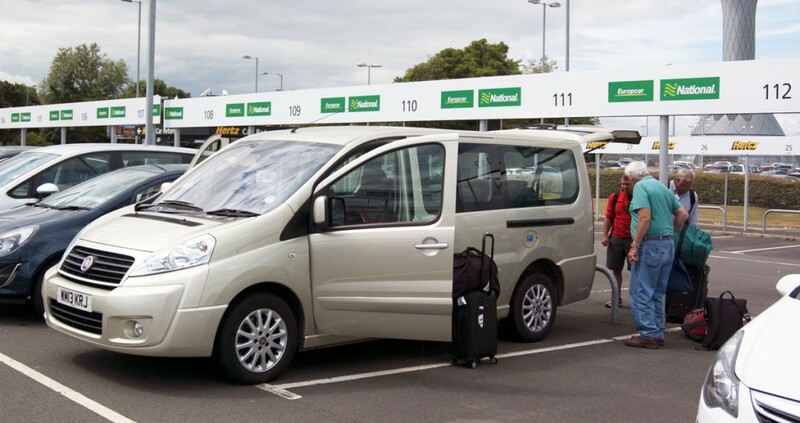 We got up early and went to the Edinburgh airport to board our return flight home. 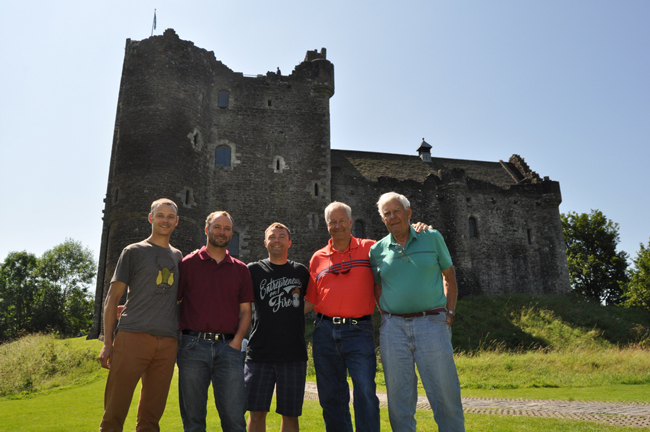 We had a great time on our trip to Scotland and I'd recommend going someday if you can! Thanks to my brother Andy for planning the trip and to my Dad, Grandpa, and brother Sam for helping make the trip a good one. If you are into traveling and are looking for advice on planning your next trip I'd highly recommend checking out The Budget Minded Traveler Podcast with Jackie Laulainen. She is a good friend and someone who's been inspiring me to travel. The Scotland trip gave me the travel bug and I already have my next international trip planned to Costa Rica this Fall with the crew over at Under30Experiences.com. Can't wait!